IP is the core of Nijigen industry. It can either be a story, a character or any other matter which is liked by a large number of users. Its concrete presentation may be novels, anime, films, games and other forms. The pan-entertainment layout centered on IPs has become the development trend of Nijigen industry. Another trend of Nijigen industry is to maximize the value of IPs through digitalized and diversified development, and multi-channel promotion. 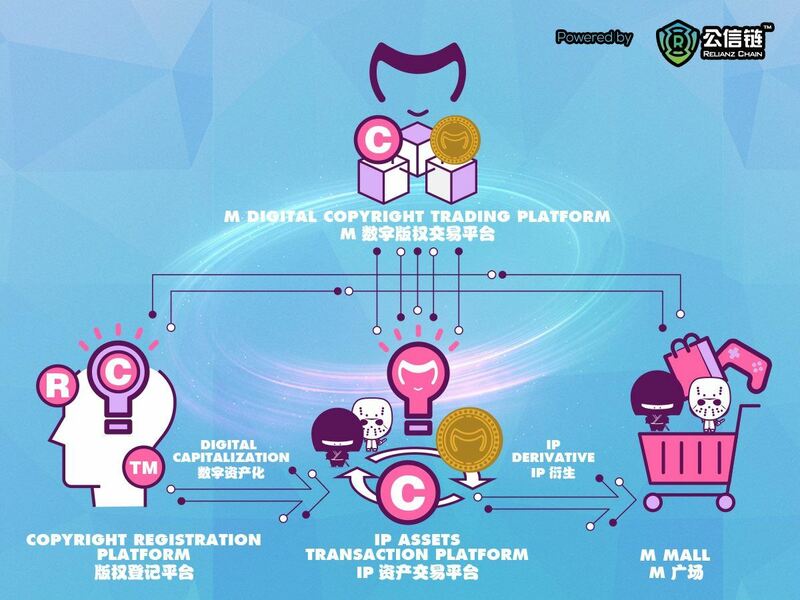 M digital copyright transaction platform is aimed at regulating credibility, safety and stability of global culture and entertainment copyright market, cultivating and incubating quality IPs at home and abroad to provide them with diversified services including copyright registration, transaction and operation. M digital copyright transaction platform not only propels the integrative development of the global Nijigen industry, but also promotes the development and of Nijigen IP industry chain. In addition, it will accelerate the publication of quality IPs and long-tail IPs, and the multi-mode presentation of peripheral pan-entertainment sectors such as games, anime, electronic music, e-sports, film & TV in order to maximize IP value. M digital copyright transaction platform focuses on the development of platform ecology, owns benefits of partners of high quality IP authorized brands at home and abroad and channel resources and enjoys the right of first refusal on holomorphic development of these IPs. M Chain owns intellectual property brand names of many top brands including Ultraman, EVA, Hatsune Miku, Konan, Inuyasha, Chibi Maruko-chan, Hello Kitty, etc.